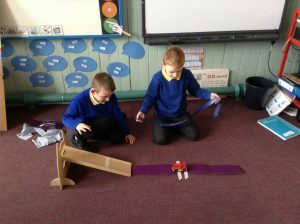 Year 2 have been investigating the effect different materials have on the way that an object can travel. 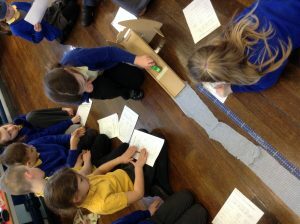 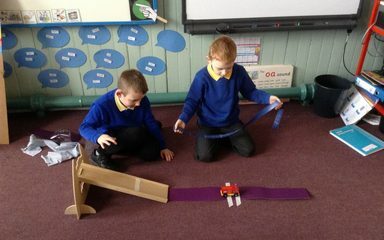 They learnt about friction then investigated how cars would travel along along different surfaces predicting which surface would create the most friction and which would create the least. 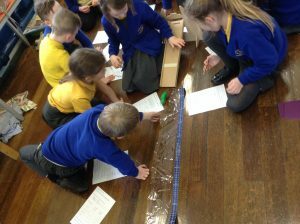 After discussing how they would make it a fair test they made their predictions and carried out the investigation, working in teams to make sure that results were fair and accurately measured using a tape me sure to measure in cm’s. 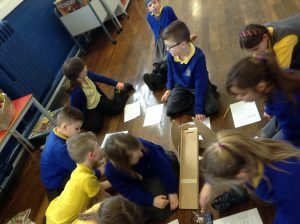 Finally they gathered their results and used scientific language to write a concluding statement for their research.